Hello everyone! Today is my turn to post over at Twine It Up! with Trendy Twine. I'm only going to show you a sneak peek here though. 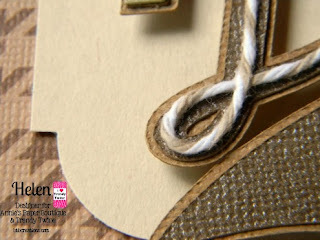 Please head over to the Trendy Twine Blog to see the whole project. 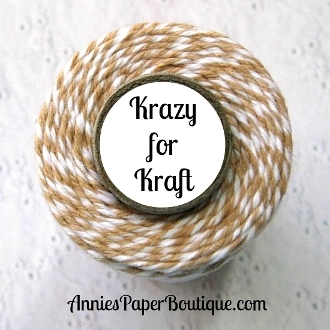 And be sure to check out the sale on our featured twine, Krazy for Kraft, over at Annie's Paper Boutique. Hello everyone! It's my turn over at Twine It Up! with Trendy Twine today. 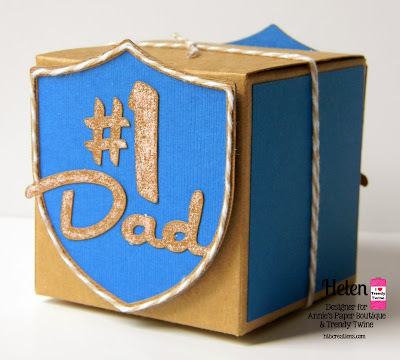 I have a quick and easy gift box for the #1 dad in your life. We are featuring the fabulous Krazy for Kraft Trendy Twine and the 3x3 Kraft Boxes. 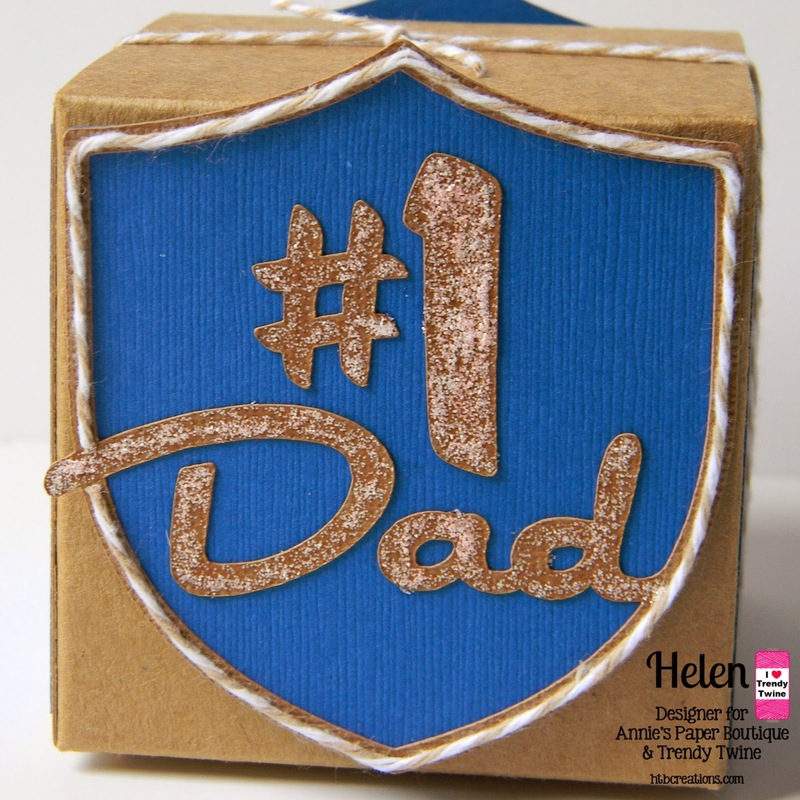 You can make lots of fun gifts with these! This was quick to put together. I used a Cricut cut for the #1 Dad badge and glued twine around the outside of it. Then I added stickles to the number and words. I used the same blue cardstock to add some color to the sides of the box. The badges are pop dotted on and I finished it off with some more Krazy for Kraft around the box. Make sure to visit Annie's Paper Boutique to pick up your twine and fun packaging! And keep stopping by Twine It Up! with Trendy Twine to see all the fun projects the design team will be posting.